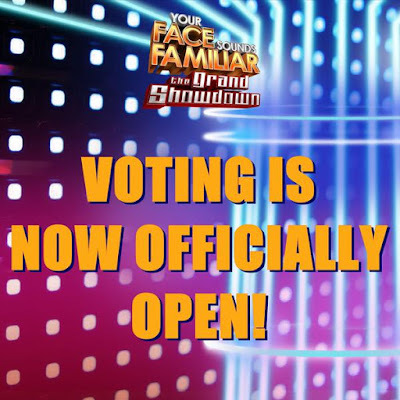 MANILA, Philippines - The Grand Showdown of ABS-CBN's hit singing and impersonation competition “Your Face Sounds Familiar" happens tonight, June 6, 2015 live at the Resorts World Manila. 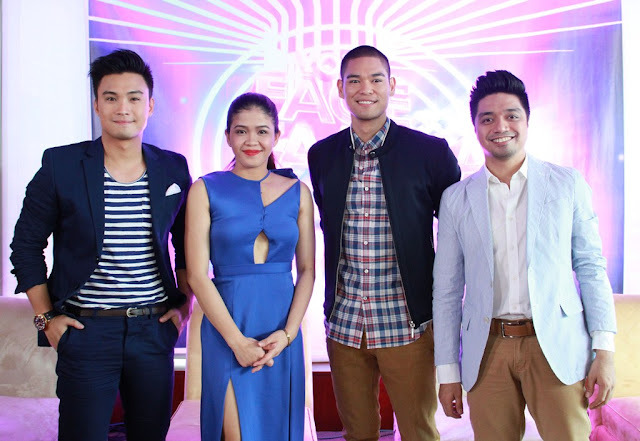 “Your Face Sounds Familiar’s” Final 4 celebrity performers Edgar Allan Guzman, Jay-R, Melai Cantiveros, and Nyoy Volante will undergo their last transformation as music icons as they clash tonight. “Expect that I will give more than what I gave these past 12 performances. I will research, practice, and give my heart and my 110% for all of you,” said Nyoy, who recorded the highest overall score (257 points) among all performers as the top 4 was unveiled last week. Meanwhile, Melai and EA both got 202 points overall for their 12 performances. They said both of them didn’t expect to get in and thanked their fans for inspiring them weekly. “I was really shocked, I didn’t believe it happened. God moves in mysterious ways. I didn’t expect anything because I expected the worst. But being in the bottom 4 is not the worst, because we’re all happy in the show. I feel like I just beat Mayweather,” said Melai. "You pulled it off from the very beginning." - Gary to Nyoy. "You put your heart and soul in every performance." - Jed to Nyoy. 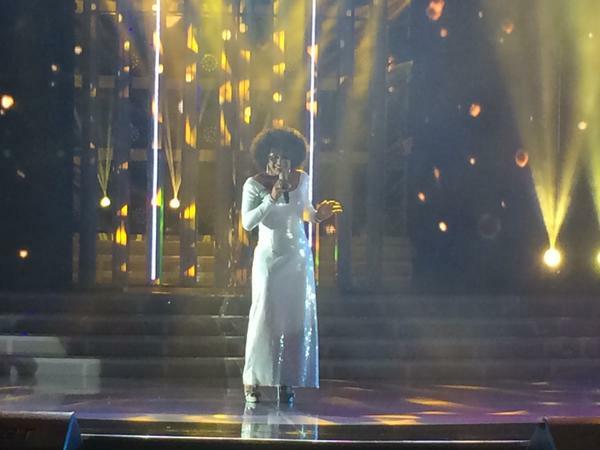 ‪Nyoy as Whitney Houston - "I'll Always Love You"
Melai performs Miley Cyrus' "Wrecking Ball." "Not just the most improved na contestant, isa kang tunay na diyamante," Gary said to EA. "Ikaw ang isa sa mga rebelasyon sa season na 'to." - Jed to EA. EA performs Chris Brown's "Turn Up the Music." Vice Ganda tweeted: "I totally didn't hear the JayR sound anymore. He sounded like the icon he was channelling. Ang galeeeeeng!!!" Official hashtag #YFSFGrandShowdown climbs to No. 9 spot worldwide. "You put the passion into it. Kaya nandito ka ngayon," Gary V. said to Jay R.
"You look and sound like the icons you're impersonating," Jed said. 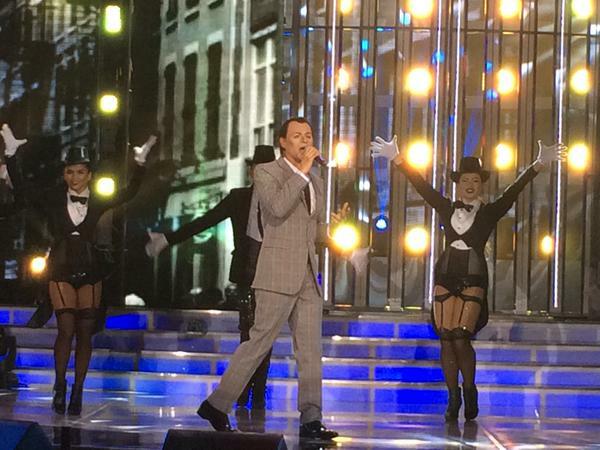 JayR as Frank Sinatra performs "Ney York, Ney York." "It's his determination that brought him here." - Teacher Georcelle on Jay R.
#YFSFGrandShowdown immediately climbed to number 1 trending topic on microblogging site Twitter nationwide. Top 4 picked their music icon to be impersonated tonight: EA as Chris Brown, Nyoy Volante as Whitney Houston, JayR as Frank Sinatra and Melai as Miley Cyrus. Billy Crawford and the jurors Sharon Cuneta, Gary Valenciano and Jed Madela opened the show with their rendition of "I Want You To Know." In the live shows on Sunday (Jun 7), watch out for performances from special guests, including celebrity performers Jolina Magdangal, Karla Estrada, Maxene Magalona, and Tutti Caringal. Since it started airing in March this year, “Your Face Sounds Familiar” has consistently topped the list of the country’s most watched TV programs, as well as the trending topics on Twitter. In fact, it was the number one program last weekend when it recorded a national TV rating of 31.9% last Saturday (May 30) and 31.1% last Sunday (May 31), according to data from Kantar Media. “Your Face Sounds Familiar” is hosted by Billy Crawford and with the jurors Gary Valenciano, Jed Madela, and Sharon Cuneta.